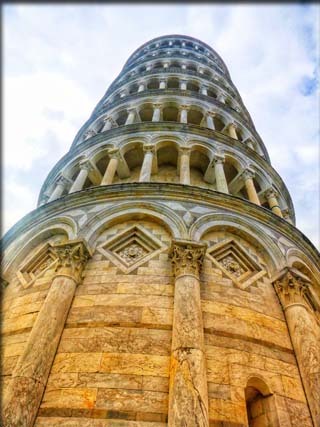 Mystery of the Tower of Pisa Solved - Pisa is famous for it off-kilter tower, which has presented a longstanding mystery to scientists: how can such a leaning edifice continue to stay up in an earthquake prone area like Pisa? According to a new study led by Roma Tre University's Professor Camillo Nuti, the reason it leans is the exact same reason it still stands. According to the report the softness of the soil, combined with the stiffness of the tower, prevents it from resonating, or vibrating along, with the earthquake's ground motion giving its protection from damage. The structure has weathered four major earthquakes since it was completed in the 14th century. "Ironically, the very same soil that caused the leaning instability and brought the Pisa tower to the verge of collapse, can be credited for helping it survive these seismic events," noted Professor George Mylonakis, from the University of Bristol, UK, who was a member of the team that worked on the study. How is a Volcano Like a Pipe Organ? - A volcano in Ecuador with a deep cylindrical crater might be the largest musical instrument on Earth, producing unique sounds scientists could use to monitor its activity. New infrasound recordings of Cotopaxi volcano in central Ecuador show that after a sequence of eruptions in 2015, the volcano's crater changed shape. The deep narrow crater forced air to reverberate against the crater walls when the volcano rumbled. This created sound waves like those made by a pipe organ, where pressurized air is forced through metal pipes. "It's the largest organ pipe you've ever come across," said Jeff Johnson, a volcanologist at Boise State University in Idaho and lead author of a new study detailing the findings in Geophysical Research Letters, a journal of the American Geophysical Union. Listen to Cotopaxi's unique organ pipe sounds here. The new findings show the geometry of a volcano's crater has a major impact on the sounds a volcano can produce. Understanding each volcano's unique "voiceprint" can help scientists better monitor these natural hazards and alert scientists to changes going on inside the volcano that could signal an impending eruption, according to the study authors. "Understanding how each volcano speaks is vital to understanding what's going on," Johnson said. "Once you realize how a volcano sounds, if there are changes to that sound, that leads us to think there are changes going on in the crater, and that causes us to pay attention." Rain: It's Not Just How Much, But How Big that Matters - Meteorologists have known for some time that rainfall forecasts have flaws, as failure to take into account factors such as evaporation can affect their accuracy. Now, researchers from the University of Missouri have developed a system that improves the precision of forecasts by accounting for evaporation in rainfall estimates, particularly for locations 30 miles or more from the nearest National Weather Service radar. "Right now, forecasts are generally not accounting for what happens to a raindrop after it is picked up by radar," said Neil Fox, associate professor of atmospheric science in the School of Natural Resources at MU. "Evaporation has a substantial impact on the amount of rainfall that actually reaches the ground. By measuring that impact, we can produce more accurate forecasts that give farmers, agriculture specialists and the public the information they need." Fox and doctoral student Quinn Pallardy used dual-polarization radar, which sends out two radar beams polarized horizontally and vertically, to differentiate between the sizes of raindrops. The size of a raindrop affects both its evaporation rate and its motion, with smaller raindrops evaporating more quickly but encountering less air resistance. By combining this information with a model that assessed the humidity of the atmosphere, the researchers were able to develop a tracing method that followed raindrops from the point when they were observed by the radar to when they hit the ground, precisely determining how much evaporation would occur for any given raindrop. Researchers found that this method significantly improved the accuracy of rainfall estimates, especially in locations at least 30 miles from the nearest National Weather Service radar. Radar beams rise higher into the atmosphere as they travel, and as a result, radar that does not account for evaporation becomes less accurate at greater distances because it observes raindrops that have not yet evaporated. The First Foot Prints - "On July 20, 1969, Neil Armstrong put the first footprint on the moon. But when did animals leave the first footprint on Earth? Recently, an international research team reported discovering fossil footprints for animal appendages in the Ediacaran Period (about 635-541 million years ago) in China. This is considered the earliest animal fossil footprint record. The research was published in Science Advances on June 6, 2018. Bilaterian animals such as arthropods and annelids have paired appendages and are among the most diverse animals today and in the geological past. They are often assumed to have appeared and radiated suddenly during the "Cambrian Explosion" about 541-510 million years ago, although it has long been suspected that their evolutionary ancestry was rooted in the Ediacaran Period. Until the current discovery, however, no fossil record of animal appendages had been found in the Ediacaran Period. Researchers from the Nanjing Institute of Geology and Palaeontology of the Chinese Academy of Sciences and Virginia Tech in the United States studied trackways and burrows discovered in the Ediacaran Shibantan Member of the Dengying Formation (551-541 million years ago) in the Yangtze Gorges area of South China. The trackways are somewhat irregular, consisting of two rows of imprints that are arranged in series or repeated groups. The characteristics of the trackways indicate that they were produced by bilaterian animals with paired appendages that raised the animal body above the water-sediment interface. The trackways appear to be connected to burrows, suggesting that the animals may have periodically dug into sediments and microbial mats, perhaps to mine oxygen and food. These trace fossils represent some of the earliest known evidence for animal appendages and extend the earliest trace fossil record of animals with appendages from the early Cambrian to the late Ediacaran Period. The body fossils of the animals that made these traces, however, have not yet been found. Maybe they were never preserved. Looking for Life on a Moon - We've all heard about the search for life on other planets, but what about looking on other moons? In a paper published Wednesday (June 13) in The Astrophysical Journal, researchers at the University of California, Riverside and the University of Southern Queensland have identified more than 100 giant planets that potentially host moons capable of supporting life. Their work will guide the design of future telescopes that can detect these potential moons and look for tell-tale signs of life, called biosignatures, in their atmospheres. Since the 2009 launch of NASA's Kepler telescope, scientists have identified thousands of planets outside our solar system, which are called exoplanets. A primary goal of the Kepler mission is to identify planets that are in the habitable zones of their stars, meaning it's neither too hot nor too cold for liquid water -- and potentially life -- to exist. Terrestrial (rocky) planets are prime targets in the quest to find life because some of them might be geologically and atmospherically similar to Earth. Another place to look is the many gas giants identified during the Kepler mission. While not a candidate for life themselves, Jupiter-like planets in the habitable zone may harbor rocky moons, called exomoons, that could sustain life. "There are currently 175 known moons orbiting the eight planets in our solar system. While most of these moons orbit Saturn and Jupiter, which are outside the Sun's habitable zone, that may not be the case in other solar systems," said Stephen Kane, an associate professor of planetary astrophysics and a member of the UCR's Alternative Earths Astrobiology Center. "Including rocky exomoons in our search for life in space will greatly expand the places we can look." The researchers identified 121 giant planets that have orbits within the habitable zones of their stars. At more than three times the radii of the Earth, these gaseous planets are less common than terrestrial planets, but each is expected to host several large moons. Funnel Shaped Universe? - Whenever they talk about the Big Bang, for illustration purposes they always show a funnel or trumpet shaped Universe from the point of the big bang to the present day, about 13.8 billion years. I often wonder that if there was a big bang, if the so-called explosion would have radiated in ALL directions, like a typical explosion - Victor N.
When you see a diagram like that the illustrator is trying to express what is happening in four dimensional space (three directions and time), on a two dimensional piece of paper. It's a bit like trying to put a world map onto a flat piece of paper instead of a sphere: you do your best, but it's not a perfect representation. On most funnel diagrams the long dimension is time and the funnel shows how things changed over time. At the one end the universe it very small and highly compressed. Then as time moves forward it gets larger and larger, taking on, in the diagram, a funnel shape. While this a useful diagram to show the expansion, it isn't really meant to represent what the expansion actually would have looked like you had been standing there at the time. From that point of view that universe, as you have supposed, would have seemed to have expanded, or inflated, in all directions at the same time. 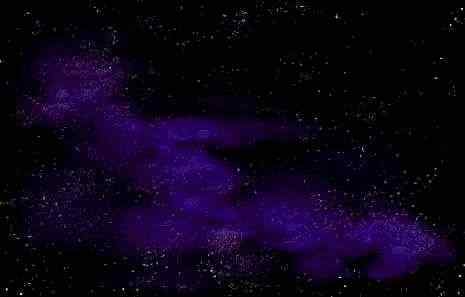 Having said all that, there are a number of views of what shape that the universe expanded into. To think about this you need to understand that the stuff of the universe (matter and energy) is what creates the space. When the expansion of the universe happened it didn't expand into anything, but created the space as part of the expansion. For that reason the density of the universe (how much stuff there is compared to the amount of space) is critical to understanding its shape. A low density universe creates a saddle-shaped universe that will expand forever. A high density universe will probably create a sphere shaped universe which will collapse back on itself. A universe with density in between will be flat. The kicker here is that at least one scientist, Frank Steiner at the at the University of Ulm in Germany, does believe the universe expanded into a funnel shape! It's a minority opinion, but Steiner does back it up with data from Wilkinson's Microwave Anisotropy Probe (WMAP) which was used to map the distribution of the microwave background radiation in the visible universe . Is he right? We will just have to wait as other scientists figure out ways to confirm or show his theory to be in error. First Zeppelin Flight - July 2nd,1900, marks the first flight of a Zeppelin. The LZ-1 was the first rigid airship to use a large internal metal frame. Inside the airship multiple cells of hydrogen gave it the lift to get Its cigar-like hull, which was 416 feet (120m) long, off the ground. This type of airship, named after its inventor, Ferdinand Graf von Zeppelin, would be seen as the natural successor to the passenger liner until the Hindenburg burst into flame and crashed in 1937. The German LZ-1 it flew for about 18 minutes above Lake Constance driven by two Daimler internal combustion engines attached to propellers. Close Encounter - On July 15th look for a close meeting just after sunset between the planet Venus and thin waxing crescent moon. Look for the close encounter low in the southwestern sky. The view should be best from North America. Total Lunar Eclipse - If you're in South America, Europe, Australia, Africa, or Asia you may get the chance to see a total lunar eclipse on July 27th as the shadow of the Earth passes over the moon. The show will begin at 3:30 p.m. ET (19:30 UT).